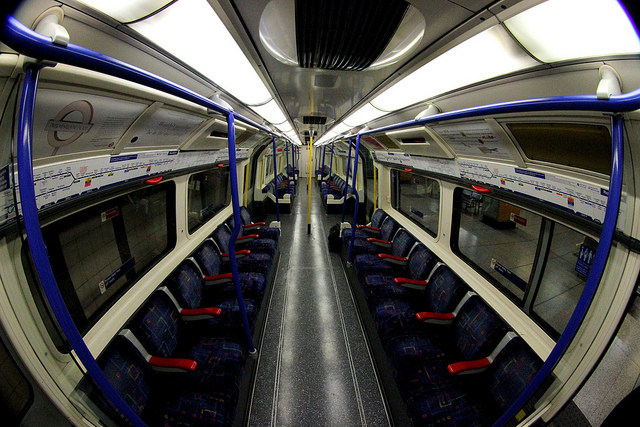 We touched a nerve when we posed the etiquette dilemma about who gets the arm rest on the tube. In our poll, thousands responded to argue over the answer: the first person to get there; the person who wins the arm 'rest-le'; everyone gets the left rest; or everyone gets the right. And the winner is: The first person in the seat can claim both. Although, it must be said, it wasn't a resounding victory. With 27.4% of the vote, it only just pipped "don't care" to the post (25%) — although these respondents certainly cared enough to respond. Which is caring enough. Almost a fifth of people (19%) feel that the winner of the elbow war can claim the spoils of the arm rests; while 15.6% of people feel everyone should take the arm rest to their left; and just 13% feel everyone should take the rest to their right. The lively debate which ensued produced some interesting ideas, not least of which was that everyone should take the front of one and the back of the other, and then everyone gets both arm rests. Many people remarked that no-one should get them, as they're not arm rests, but 'people dividers'. So, there you have it — next time you find yourself sitting on a tube, and someone gets on and tries to wrestle you off the rests, point them to this definitive study.